As we age, most of us find that our energy levels decrease. We are so busy working, running around and trying to fit everything in that we forget to take a breath. With the constant stress of our modern day responsibilities, our bodies aren’t able to keep up and we find ourselves exhausted. Well I am here to tell you it doesn’t have to be that way! 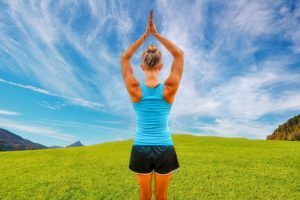 Below are 6 simple tips that you can do NOW to regain the energy and vitality you deserve. Yes, you have heard these tips before but are you doing them? Take a moment, read through them and remind yourself of these basic steps you can take on a daily basis to enhance your life. What is a “healthy diet” these days? There are so many fads, trends and buzz words floating around that consumers are often left confused. We are going to simplify things for you: EAT REAL FOOD. What is real food? Real food is food that comes from the earth, not from a lab. Real food has ingredients that you can recognize and is free of hormones, antibiotics, chemicals, preservatives and food dyes. Real food is whole, unprocessed food. Real food comes from your farmers market or produce section. Real food is colorful. Fruits. Vegetables. Nuts. Seeds. Meat. Poultry. Fish. = REAL FOOD. If you begin to replace packaged, processed, fast foods with real, whole foods you will be able to eliminate toxin and chemical intake, improve digestion and absorption and your body will begin to balance, thus giving you more energy. It’s no secret that sugar is bad for us. Not only is it bad, it is addictive and toxic. 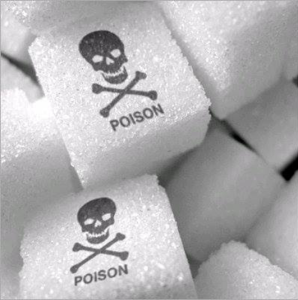 When sugar enters our blood stream, our pancreas releases insulin, which causes our blood sugar levels to rise. After our blood sugar levels are spiked, they have nowhere to go but down. This is when we experience the CRASH. It usually comes around 3pm. What do most people do to combat the crash? They drink a sugary beverage or snack on some fruit which sends your blood sugar back up. How can you get out of this vicious cycle? Remove sugar from your diet! I know this seems extreme, but you will feel SO much better once you do. Start with “added” sugar – sugar added to your coffee or tea, desserts, chocolate, candy etc. Then move on to sugar in products. Do you know that most fruit juices have over 25 grams of sugar per 8oz? Well it’s true…and we won’t EVEN talk about soda. Once you have cut out sugary drinks and products then begin to reduce your fruit intake. “But I thought fruit is healthy?” – Yes, it is but in moderation. Fruit is high in fructose which sends your blood sugar levels through the roof. By reducing sugar in your diet, you will be able to stabilize your blood sugar levels and have more balanced energy throughout the day. Do you have any level of stress in your life? Chances are if you are alive the answer is YES! When we become stressed, our brain sends messages to our adrenals to pump cortisol and put us in the “fight or flight” mode. Our bodies were designed to go into fight or fight mode when we were in clear and present danger (think – tiger chasing us in a forest) not because our outfit doesn’t match or someone cut us off on the freeway. This constant trigger of stress wreaks HAVOC on our bodies, which eventually lead to adrenal fatigue and zero energy. 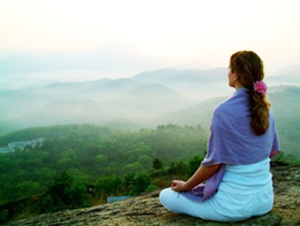 There are many ways to battle our modern day stressors and one of my favorites is meditation. Just taking a few minutes every morning or at the end of your day to relax, center your thoughts, and let your mind REST. Don’t know how to meditate? No problem! Find a comfortable seat, gently close your eyes and place your hands palms up on your lap. Take a few deep breaths in through your nose and release with a deep sigh. Then find a steady pace of breath in and out through your nose. Thoughts will come, let them. Focus on your breath or focus on a word, an image and just stay focused on it for 5-10 minutes. Set a timer if needed or you decide when you are finished. By incorporating deep breathing and meditation, you can calm the body and the mind and bring a peaceful yet balanced energy into your life. Weekly movement is essential for sustained energy levels. 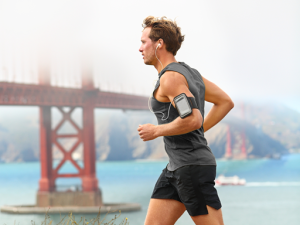 Many people report they feel “revved up” and energized after working out. This is because exercise releases certain chemicals in the brain that help boost your mood, make you feel good and help you to relax. Exercising also strengthens your muscles and boosts your endurance, helping to energize you throughout your day. People who exercise also tend to sleep better. And the better we sleep, the more energy we have throughout the day! The plus is – there are SO many various types of exercises out there today so there is something for everyone. If you do not love your current form of exercise, try a new one until you find the one that works best for you. This is one of the most simple and inexpensive ways to boost energy. Water is vital for health and our bodies constantly need it! All of your body systems and vital organs need water in order to function properly. When we are dehydrated, our body starts to slow down, making us feel run down and tired. If you need a quick energy boost, try drinking a glass or two of water. 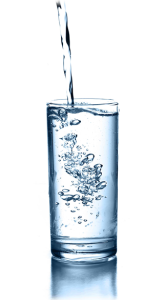 In general, I recommend drinking half of your body weight in water daily to ensure you are hydrating sufficiently. Nutrient deficiencies are often the root cause of fatigue. 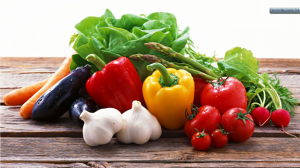 Even if you are eating a healthy and balanced diet, it is still possible that you are not absorbing all of the glorious nutrients you are eating. How can you find out what your deficiencies are? You can take a simple blood test! We run nutrient deficiency testing on almost all of our clients and everyone has at least one or more deficiencies. By replenishing deficiencies, your biological processes will work more efficiently and you will feel more balanced! Call the office and schedule your appointment today! 858-480-5024.